Winners receive publication, invitation to a reception and reading in their honor, and a cash prize. Submit one piece of fiction or nonfiction up to 8,500 words or any number of poems up to 10 pages. 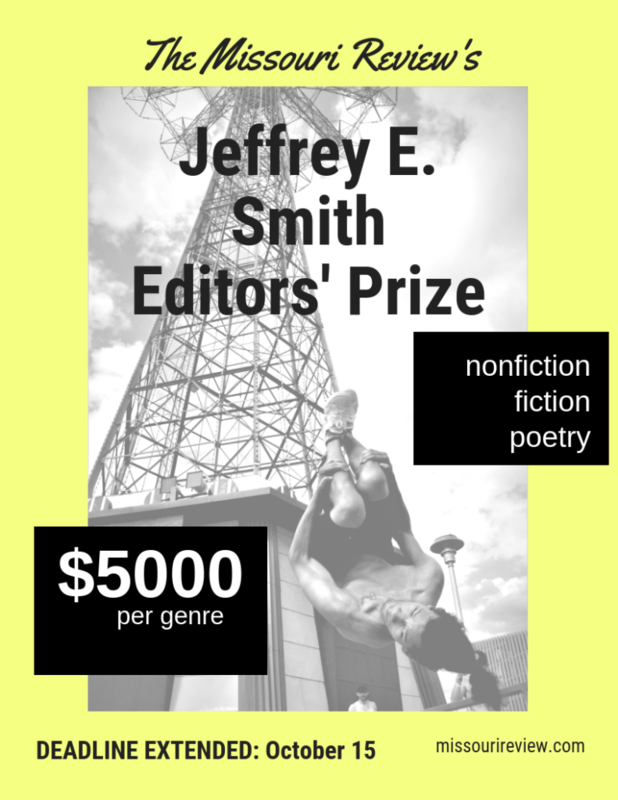 Please double-space fiction and nonfiction entries. Multiple submissions and simultaneous submissions are welcome, but you must pay a separate fee for each entry and withdraw the piece immediately if accepted elsewhere. Each entrant receives a one-year subscription to the Missouri Review in digital format (normal price $24) and a paperback copy of the second title in our new imprint, Missouri Review Books, Trouble in Mind: The Short Story and Conflict, an anthology of our very favorite Editors’ Prize fiction winners and runners-up in from the past twenty-eight years (normal price $14.95). Previous winners of the Editors’ Prize and current University of Missouri students and faculty are ineligible. Previous Editors’ Prize finalists are welcome to enter again. Winners will be announced in early 2019. Read a prizewinning story by Melissa Yancy, an essay by Peter Selgin, and a selection from poetry winners Katie Bickham, Kai Carlson-Wee, and Alexandra Teague.